Calgary Independent Publisher’s Alliance (Calgary’s Child, Culinaire, IMPACT Magazine). Three locally owned and published magazines represent their individual and unique markets in Calgary. And we’re coming together to create something unique – a partnership to meet the needs of every Calgarian every step of the way. 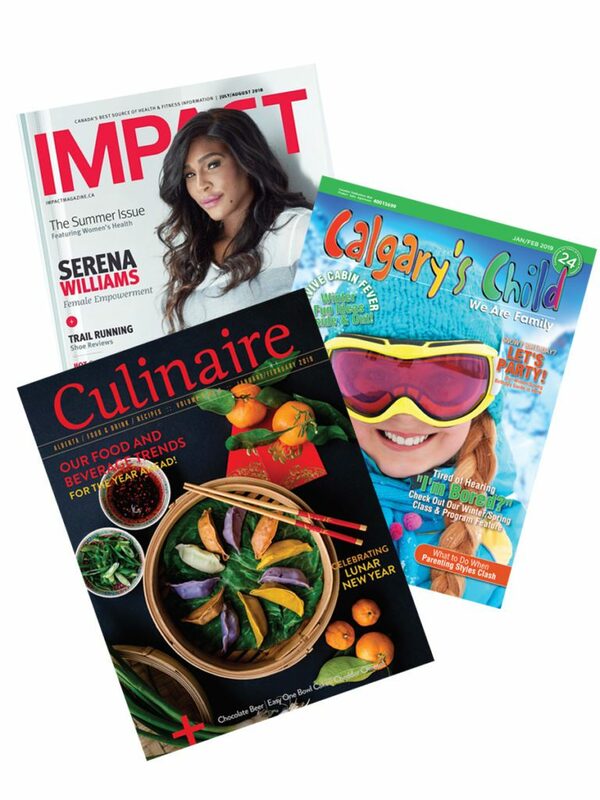 Calgary Independent Publisher’s Alliance (Calgary’s Child, Culinaire, IMPACT Magazine) is looking for two energetic advertising sales representatives with a passion for sales and media, with experience in selling both locally and nationally. Media knowledge, advertising sales and agency experience is a strong asset. Duties will include developing and managing a client base for advertising sales, client meetings, developing proposals, presentations and new business relationships with availability for media events from time to time. This is a home-based, commission-based, flexible and dynamic position representing three long-standing, professional publications. Requirements & Assets: minimum 2 years experience in sales with proven sales results, excellent verbal, written and in-person skills, ability to handle deadlines and quotas, self-motivated and charismatic. We are looking for someone with a strong work ethic, who is self motivated and excellent with people. Please send your resume and cover letter outlining why you would be interested in joining our team to Ellen Percival, calgaryschild@shaw.ca. We thank all candidates for their interest, but only those selected for an interview will be contacted.